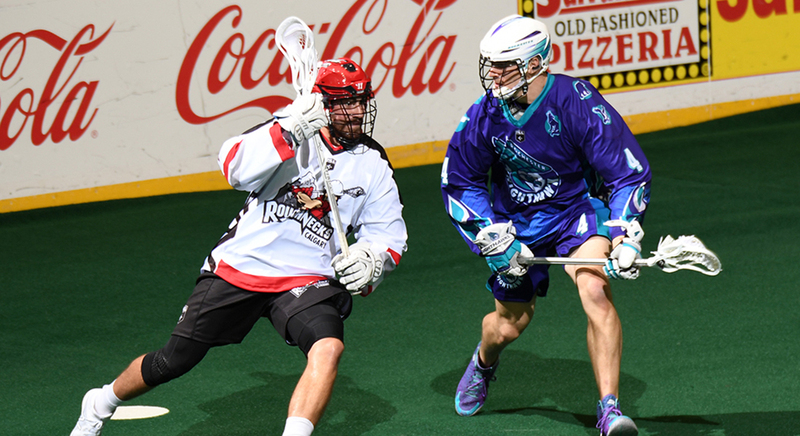 The Roughnecks fell 17-6 to the Rochester Knighthawks in their season-opener last week in Upstate New York. Whether you lose by a lot, a little, or in sudden death overtime, it all counts as one loss. While a 17-6 defeat on opening night was not the result this young Roughnecks crew was looking for but they get a chance to bounce back just a week later. There is plenty of time to get things rolling and that’s what they’ll be looking to do this Friday as they host their division rivals, the Vancouver Stealth. The much anticipated debut of third-overall pick Zach Currier was met with a mix of celebration and misfortune. The speedy rookie played well enough defensively in the contest, but was most noticeable in the transition game, where he scored his first career goal, a mid-range bouncer that got past Matt Vinc. Currier has a great chance for a second goal but was stopped by amiraculous save by the Knighthawks netminder on a breakaway opportunity. Something the Roughnecks had troubles with last season was staying out of the penalty box. They averaged 18.67 penalty minutes per game, the third highest total in the NLL. On Saturday, they took three penalties — one being on a fight between Chad Cummings and Paul Dawson — resulting in just a pair of powerplays for their opponents. Maintaining that level of discipline will be essential to the Riggers moving forward this season. In his first official game as captain, Dan MacRae started things off with a bang. He came streaking down the middle of the floor in transition and rifled a shot past Vinc to open the scoring in Rochester. He later added an assist on Zach Currier’s first career marker, giving him two points on the night. With a short week ahead of them, the Roughnecks players will be able to put the road loss to the Knighthawks behind them and focus on the incoming Stealth. There’s a six-day turnaround, so the Riggers won’t have much time to dwell on their first game. To get back on the right track, they’ll have the added support of what’s sure to a large, loud crowd at the Rough House this weekend.